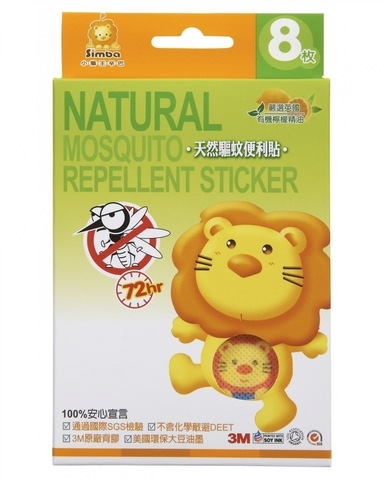 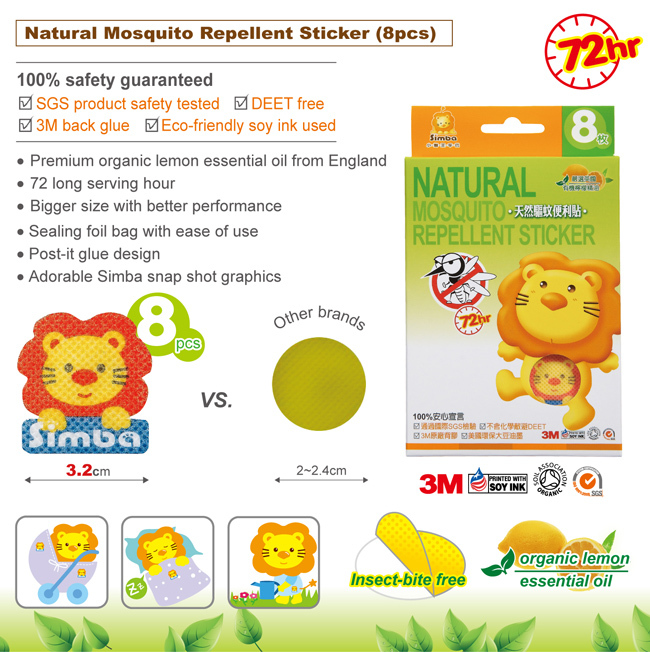 Love the earth, please use Simba eco-firendly mosquito repellent products! 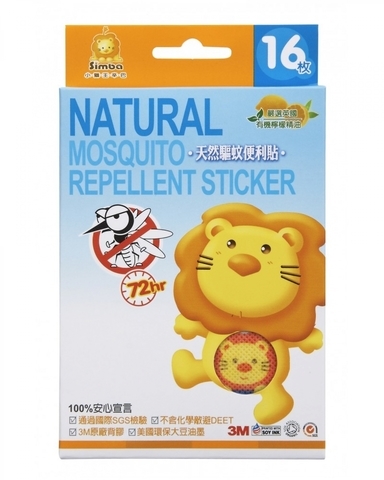 New natural mosquito repellent formula! 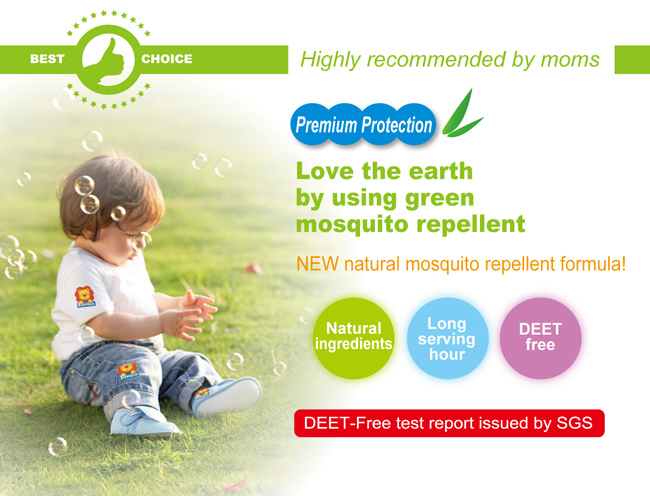 1.Premium organic lemon essential oil form England, no chemicals used. 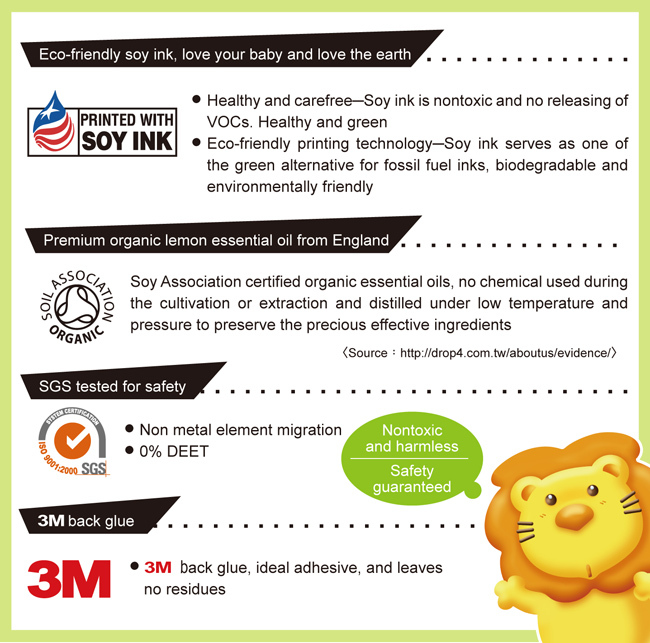 2.Eco-friendly soy ink used, love your baby and love the earth. 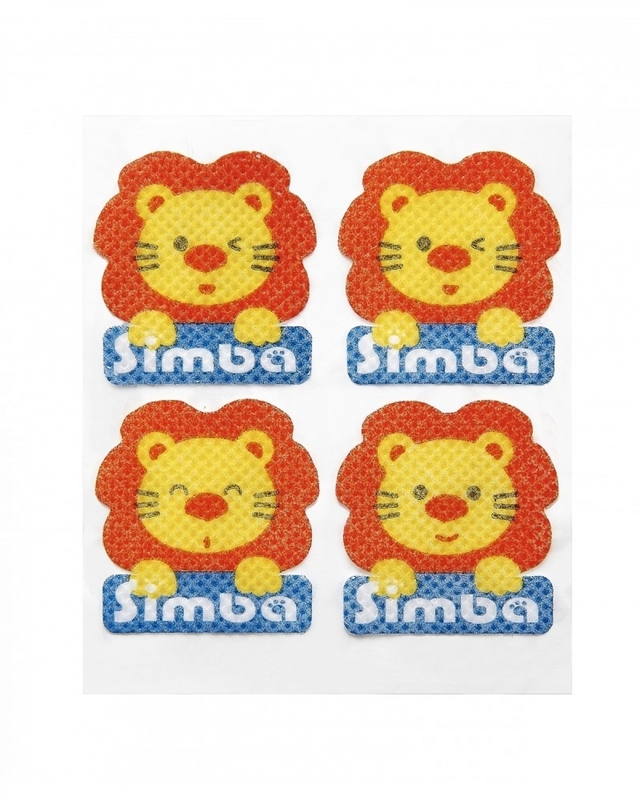 3.High density, nontoxic, and non-woven fabric used, bigger size with better performance. 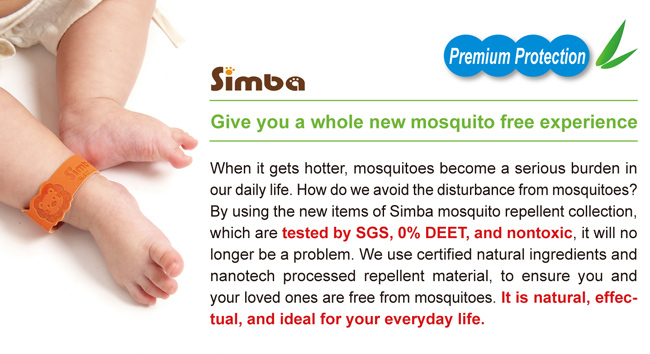 4.Natural and gentle formula, SGS tested no DEET, no side effects. 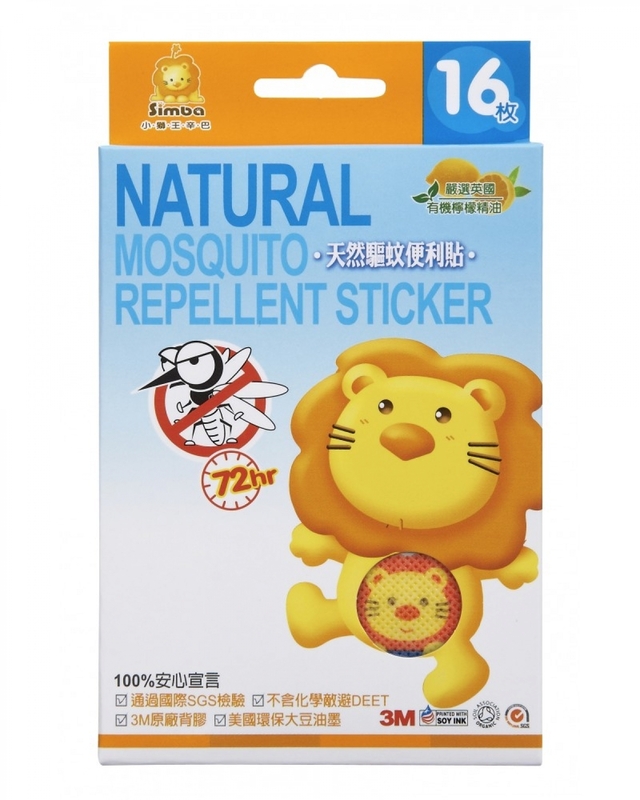 5.Creats approximately 50 cm diameter indoor or 30 cm diameter outdoor protection area, long serving hour. 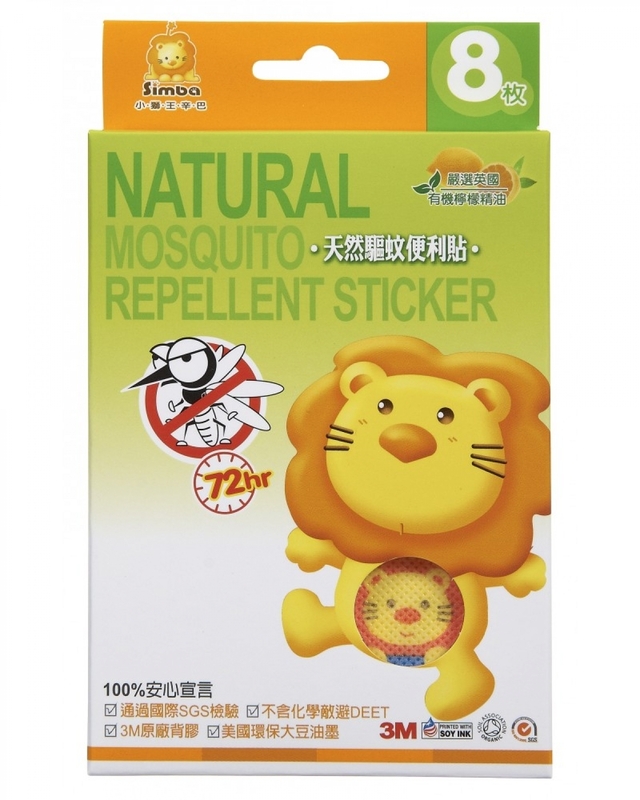 6.Post-it design, suitable for mutiple surfaces. 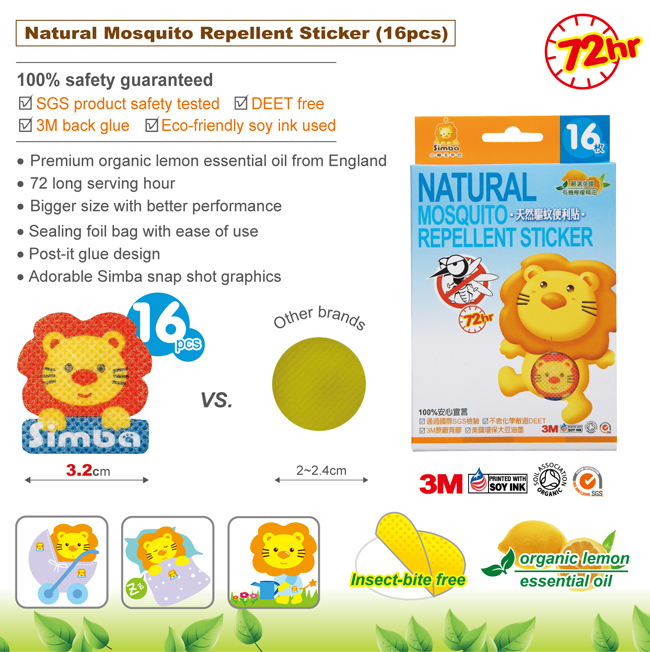 7.Sealing foil bag included, convenient for outdoor activities. 8.Adorable Simba snap shot graphics.